4 weekly hours per semester, University of Haifa. Yiddish has been the spoken language of Ashkenazi Jews for nearly 1000 years. 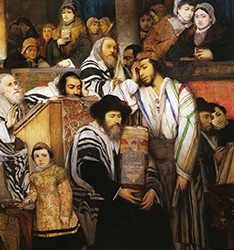 This language has produced a rich literature that represents unique Jewish voices as well as influences from neighboring local cultures and international ideologies. 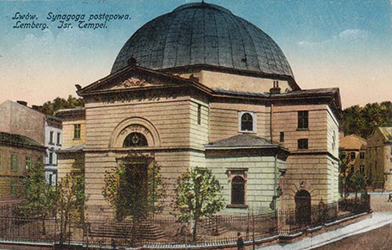 Beyond belles-lettres, researchers will find in Yiddish a large body of journalistic, historiographic, and political writings reflecting the events of the 19th and 20th centuries. The classes in Yiddish at the University of Haifa aim to give students a good command of the language, as well as to acquaint them with Yiddish culture. To this end, poetry, songs, jokes, proverbs, and films are incorporated in classroom study. Also, the Jewish holidays are addressed during the year, as well as relevant vocabulary and idiomatic expressions. Yiddish I: This course is intended for students who have no prior knowledge of Yiddish. During the year, a basic vocabulary will be acquired through reading various texts (including poetry) and listening to songs, as well as through writing assignments. Basic conversation will be practiced in class as well. In order to allow for a good understanding of Yiddish texts, the elementary rules of Yiddish grammar will be studied. For further information contact the teacher, Mr. Oren Roman (e-mail: oren.roman@mail.huji.ac.il). This course discusses the Ideas and the social aspects of the Hassidic movement, in Galicia and Bukovina. Through the course, we will study the Hassidic homiletic literature, and its kabbalistic sources. We will also use the Hassidic hagiography.